Thinking of going on a day trip from Copenhagen? We’d recommend heading north on a peaceful retreat to the Louisiana Museum of Modern Art. Louisiana is an international museum and gallery located around 25 miles north of Copenhagen. 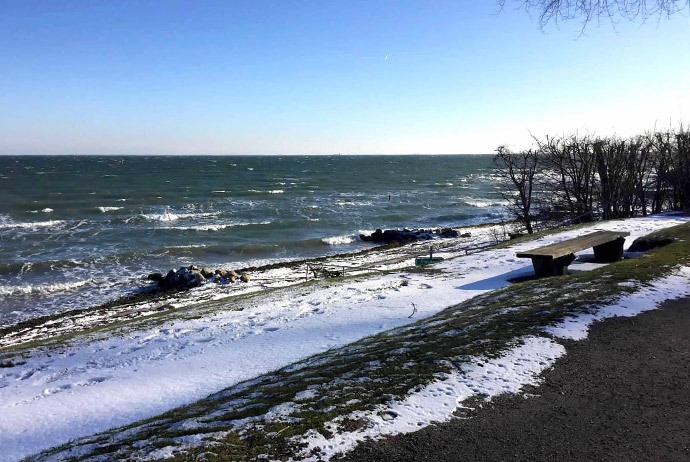 It offers an amazing collection of modern and contemporary art, alongside breathtaking views of the Øresund Strait, which separates Denmark from Sweden. For anyone who wants to check ‘nature’ and ‘culture’ off their Copenhagen to-do list in one go, a day trip here is ideal. In fact, if you have a day to spare and the sun is shining, visiting Louisiana might just be the perfect way to roll art, architecture and scenery into one fun-filled excursion. Louisiana is the leading art museum in Denmark, and it’s likely to be the one that locals will suggest you visit. You may be wondering why Denmark’s most important art museum isn’t in the heart of Copenhagen, but its distance from the city is actually part of the appeal. 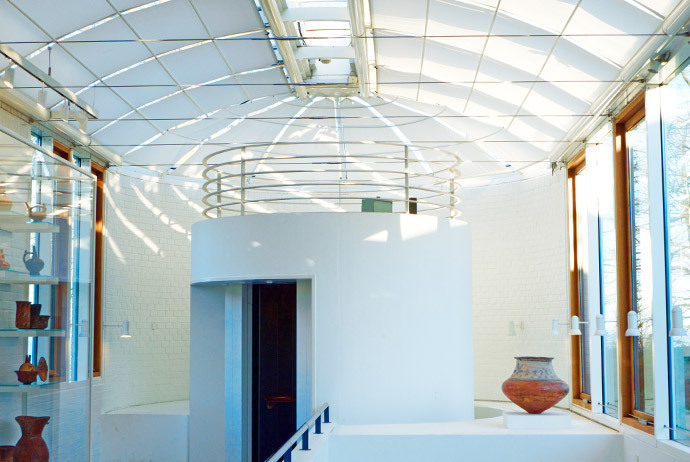 Back in the 1950s, Louisiana’s founder Knud W. Jensen specifically bought a large country house on the coast away from the bustle of the city with the idea of converting it into a cultural centre for Danish landscape, architecture and art. Since then the museum has come a long way, and now hosts a huge international collection of modern classics. It also hosts exhibitions featuring big-name artists like Jackson Pollock, David Hockney and Olafur Eliasson. And just in case you were wondering – no, the museum has nothing to do with the US state with the same name. Oddly enough, the museum inherited the name of the original estate because the villa’s first owner had three wives – all named Louise. What can I expect to see at the museum? Louisiana is the most popular museum in Denmark, and between the building and the grounds, it’s positively gigantic. 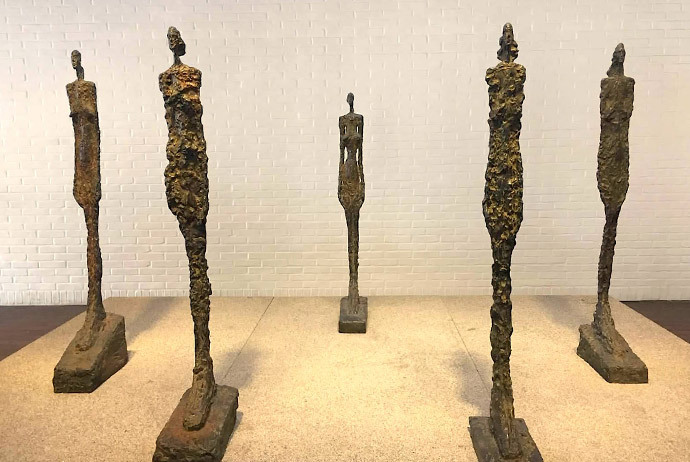 There is a permanent collection of over 3,500 European and American modern artworks from after 1945, with an emphasis on painting and sculpture. 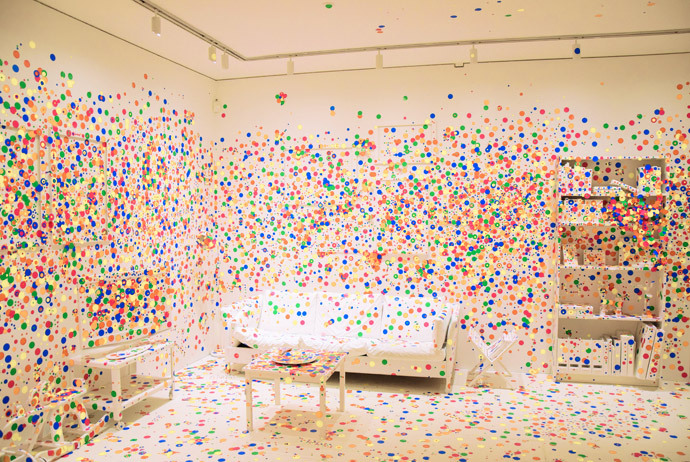 There are also three permanent galleries that are not to be missed: paintings by Danish artist Asger Jorn, sculptures by Swiss modernist Albert Giacometti, and an installation by Japanese artist Yayoi Kusama. If that’s not enough, the Louisiana Museum also hosts between 6–10 special exhibitions each year. Before you visit, check out the museum’s website for an idea of the visual delights you’re in for. A big part of the gallery’s appeal is the building itself. With huge panes of glass jutting out from behind the trees, it’s an architectural masterpiece, and is best enjoyed from the surrounding sculpture gardens, which look great in summer and winter. Regardless of how long you plan to stick around, don’t miss the view! Although the museum is open until 10pm during the week, try visiting while there’s daylight because the view across the water is unbeatable. 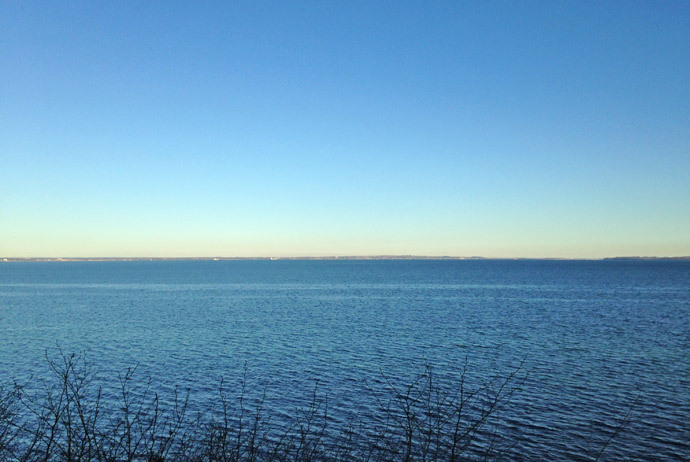 If you’re lucky enough to visit on a clear day, you can just about see Sweden on the other side of the Øresund Strait. In the summer, you just can’t beat soaking up the sun on the terrace with this beautiful panoramic view. What about food and souvenirs? If you get hungry, you can eat an organic Danish lunch at the Louisiana Café. Soup and smørrebrød cost around 79 DKK each, and there are also lunch and dinner buffets. The museum also has a shop with postcards, souvenirs and Danish design items. How much does it cost to visit Louisiana? At the time of writing, an adult ticket for Louisiana costs 125 DKK. Students pay 110 DKK, while under 18s and museum members go free. The easiest and most cost-effective way to visit the museum from Copenhagen is to buy the Louisiana Ticket through DSB, the Danish state railway company. 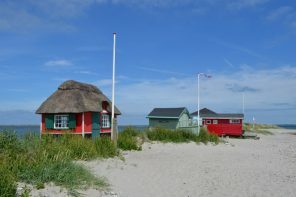 They offer a package deal that includes a return train ticket from Copenhagen Central Station to Humlebæk Station and admission to the Louisiana Museum for only 210 DKK, which saves you more than 100 DKK. The one-way train ticket to Humlebæk Station ranges in cost from 92-108 DKK, so purchasing the combined ticket is a really great deal. These tickets are conveniently available for purchase at any DSB retailer, including the DSB 7-11 kiosks. You can buy them at Copenhagen Central station; just ask for the ‘Louisiana Ticket’ and you’re good to go. If you have plans to go further north than the Louisiana Museum, another good option is to buy a 24-hour transportation pass valid for all train zones around Copenhagen. This option costs around 130 DKK. While it doesn’t include the museum entrance, the ticket will get you as far north as Helsingør, so might be a good option if you’re planning a trip there, too. If you’re a real museum buff, you might choose to invest in the Copenhagen Card. The Louisiana and 72 other museums/attractions are included on the card along with free transportation in all of Copenhagen’s zones. You can find out whether the card is likely to save you money with this handy guide we put together. From Copenhagen Central Station, regional trains (regionaltog) leave every 40 minutes (and more frequently during busy hours). The trains take about 35 minutes to arrive at Humlebæk Station, and then it’s a 10-minute walk to the museum. The train ride hugs the coast and is a nice way to see the agricultural side of Denmark after time spent in urban Copenhagen. If you want to stay over, your best bet is to head to one of the many hotels in Helsingør, around five miles north of the museum. A closer option is this small, cosy villa, just 20 minutes’ walk south of the museum.